Livewire: A fallen angel ready for redemption Livewire: Time to short US equities? Asian powerhouses Japan, South Korea and China offer opportunities across the board, particularly in the realm of telecommunications where Korea Telecom has the infrastructure edge to make it a world leader, say portfolio managers from Antipodes Global Investment Partners. Speaking at a roundtable in Sydney yesterday to launch the company’s latest global ETF, Antipodes portfolio manager Graham Hay said investors risked overlooking KT Corp despite its past as a former state-owned monopoly and provider of superior telecom infrastructure, with healthy real estate assets to boot. KT is Korea’s incumbent fixed-line telecom operator in Korea. It is also the largest broadband provider and second-largest wireless telecommunications operator. It has a growing television business and is entering into other businesses, including cloud computing and payment processing. And while Australia was still grappling with delays and cost blowouts in its bid to roll out the national broadband network, KT was well advanced on this front and other services such as its 5G network, Hay said. “As we here in Australia have embarked on the NBN journey, KT has an NBN built inside it already,” he said. “The anomaly though is the valuation, in our mind. When you look at the infrastructure these guys have – and remember this infrastructure is the beating heart of the digital economy – this infrastructure is where most telcos around the world would like to be. Korea have largely already done it. Antipodes is a top 10 shareholder in KT, which is among the top 10 holdings in Antipodes’ new ETF, the Antipodes Global Shares (Quoted Managed Fund) (ASX: AGX1). Other Asian companies in the AGX1’s top holdings include Japanese oil company Inpex, Korean financial services provider KB Financial, and from China, Ping An Insurance, China Mobile, and multinational tech and online services giant Baidu. “We’re seeing opportunities across the board in Asia,” Hay said. “And the rough breakdown for us is Japan, Korea and China. But each of these countries has slightly different angles to them. Antipodes also has an eye on the potential for investment in North Korea. 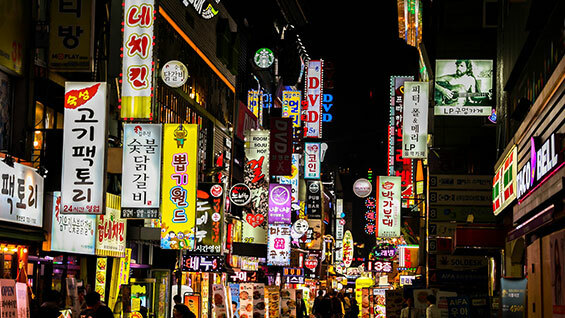 Portfolio manager Andrew Baud noted the company had extended its exposure to South Korean construction companies in the event Seoul reunifies with the hermit kingdom to the north. As for KT, it remains good value after posting solid third-quarter results, according to Morningstar US analyst Dan Baker. He has set a fair value estimate of $18 for KT, which is currently trading at $14.24. China Mobile, the largest telecom operator in the world, is also undervalued in Morningstar’s eyes. It has a fair value estimate of $10.63 and is currently trading at $9.12. In China it has 916 million subscribers and has 61 per cent of the country’s 4G telecom market and 60 per cent of the total wireless market. Ping An Insurance, China’s second-largest life and P&C insurer, is significantly undervalued. Its fair value estimate is $23.89. It is trading at $20.40. French utility Electricite de France, and US software giants Cisco Systems, Microsoft and Qualcomm are some of the other top 10 holdings in the new 30-stock Antipodes ETF. Antipodes Partners says its new fund seeks to generate absolute returns above the MSCI All Country World Index by identifying underappreciated companies in the midst of structural change. “ETFs are coming of age,” Antipodes Partners managing director Andrew Findlay said, noting that the number of global ETFs and active ETFs on the ASX had grown at a compounded annual growth rate of 23 per cent as at July this year. This article was written for and originally published in Morningstar.